Check out over 140 interactive educational sessions right on ProMat’s two show floors! 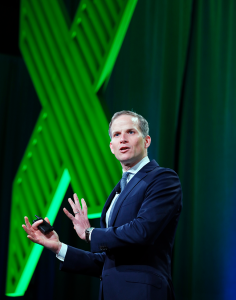 ProMat 2019 offers you the insight and information you need to tackle today’s challenges – and prepare for what the future holds. Topics include emerging technologies, sustainable facility solutions, automation and robotics, data analytics and information management, workforce and labor, distribution/warehousing and manufacturing. Choose from 100 expert-led sessions conveying a broad array of supply chain, material handling and logistics topics. Discover 16 sessions on emerging technologies and sustainability that will offer the insight and information you need to prepare for what the future holds. Take a deep dive into automation and robotics at the Chief Robotics Officer Summit ( a collocated event with ProMat). This event is free to ProMat attendees. With so many learning opportunities you can create your own agenda to fix your focus. Find out more and explore the event!